The Arms, Crest and Badge were designed by David H.B. Chesshyre, LVO,FSA, Chester Herald of Arms in conjunction with the grantee, approved unaltered and granted by the Garter Principal King of Arms on 16th November, 1991. BLAZON - ARMS: Bleu Celeste on a chief wavy Gules fimbriated Or a Cherub between two Martlets respectant and in base a Crwth (Bowed Welsh Lyre) palewise Gold stringed Sable. CREST: Upon a Helm with a Wreath Or and Gules issuant from a bed of Wattle flowered a Leek proper between two Dragons Wings Argent each charged with a Rose Gules barbed and seeded proper. BADGE: In front of two horns addorsed bells downwards and outwards Gold banded Bleu Celeste and linked by an endless Cord looped in chief and in base and on either side Gules a Trefoil slipped Bleu Celeste. STANDARD: In the hoist the arms in the fly Azure between two transverse bands Gules fimbriated Or each bearing the motto Persevere three representations of the badge the whole fringed Or and Gules the sleeve Gules. Arms: The red and sky blue field allude to my Army and Air Force Service. The red also represents jointly the colour of the Welsh Dragon and the Cross of St. George, the Patron Saint of England. The sky blue a rare armorial tincture is generally reserved for institutions or persons associated with aviation and is a reference to my service in the Royal Air Force and Royal Australian Air Force. The Gold Martlets come from the Arms of both Brighton and East Sussex in England, the Town and County where I was born. 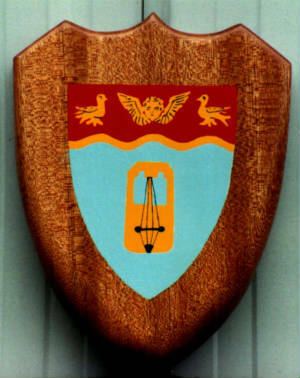 The Martlet has been a popular charge since the early days of Heraldry. Its appearance is like a House Martin, Swallow and Swift however it is always shown with its legs ending with two tufts of feathers and no feet or claws. During medieval times it was thought that they spent their whole life air borne having no need for feet and thought to have none. It is also used as a mark of cadency denoting the fourth son. Martlets are in the Arms of East and West Sussex and also in the City of Brighton and Hove. The Cherub comes from the Arms of Trinity College of Music, London where I was admitted as a Fellow in December, 1973 and the wings can also be seen as relevant to my Air Force service. The Crwth (pronounced "crooth") is an ancient Welsh bowed stringed instrument which is a symbol of my Welsh ancestry and involvement in various musical activities, it was held against the chest, sometimes with a cord looped round the player's neck. It was about the size of a violin. Originally plucked it was given a finger board about 1300 and played with a bow-like fiddle. It's original four strings (in two pairs) were increased by the 15th century to six, two being off the fingerboard. The treble string was used for melody, the other strings serving as drones; the off-fingerboard strings were bowed or occasionally plucked by the thumb of the bow hand. One foot of the bridge passed through a sound hole and transmitted the vibrations of the strings to the back of the instrument. In the 6th century it seems to have been considered specifically British and was used in England, Ireland and on the continent but its home was Wales. Clearly an instrument for accompanying the Welsh bards the Crwth lingered on longest in Wales being heard in Caernarvon as late as the start of the 19th century. The English name for the Crwth is Crowd, the Irish name is Crot or Cruit and the Medieval Latin name is Chorus. Other forms of the word are Croud, Crowth and Crouth. It is said that in remote parts of Wales a violin is still called a Crwth as in England a fiddler was long called a crowder. Crest: The Leek, (Allium porrum) known as Cennin in Welsh in the Crest is a national symbol of the Principality of Wales. It is a member of the onion family and is thought to be native to the Mediterranean area and Asia. Leeks have been cultivated for more than 3,000 years and have long been popular in Europe. In 640 A.D. King Cadwallader of Wales, at the suggestion of St. David, is said to have ordered his men to wear leeks in their battle caps to distinguish themselves from the enemy during the battle against the Saxons. Shakespeare, on the other hand, believed it to have originated at Poitiers (1356) "the Welshmen did good service in a garden where leeks did grow, wearing in their Monmouth caps, which your Majesty know, to this now is an honourable badge of service" (Henry V). March 1st is the festical of St. David, the patron saint of Wales and it used to be customary among Welshmen to celebrate the day by fixing leeks to their hats. The dragon's wings can be seen as a reference to the dragon on the Welsh flag and Welsh badge. The red roses refer to Bootle in Lancashire, my father's birthplace. 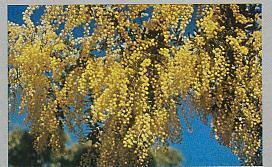 The Golden Wattle (Acacia Pycnantha) is an allusion to the Arms of Australia and was proclaimed Australia's floral emblem on the 1st of September, 1988. Wattle has masses of golden fluffy balls which are made up of thousands of fragrant pollen-rich stamens. These quick growing evergreen shrubs are native to Australia. On 23rd August, 1992 His Excellency the Governor General of Australia, William George Hayden, proclaimed that the 1st of September of each year shall be observed as "National Wattle Day" throughout Australia and in the external Territories of Australia. 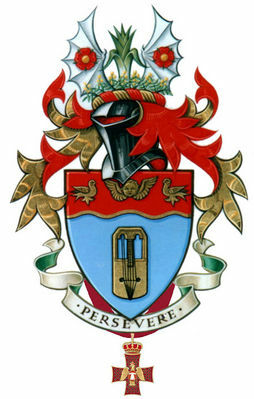 The motto "PERSEVERE" comes from the Arms of the London College of Music where I was admitted as an Associate in December, 1965. BADGE: The two horns in the badge are simply a symbol of music and the cord can be seen as a baldrick linking the two horns, rather in the way that the Tudors linked their initials with a decorative knot. The trefoil in the centre of the badge is a reference to the Arms of the late Most Hon. the 7th Marquess of Bristol, in whose family the Lordship of the Manor of Holdingham was held for around 300 years before I succeeded to the Lordship of the Manor in 1991. The Royal College of Arms of Georgia. The Armorial Register - International Register of Arms (formerly Burke's Peerage & Gentry International Register of Arms). The Armorial and Heraldry Society of Australasia. The Company of Armigers (Australian Chapter). The Honourable Association of Scottish Armigers Australia Inc. The Legaults Australasian Armorial CD. The United States Heraldic Registry. 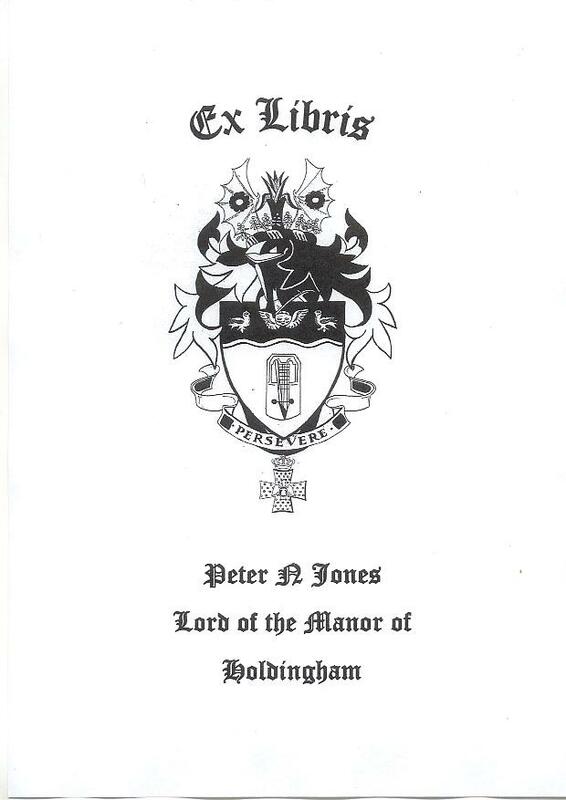 Heraldic Bookplate showing my Armorial Bearings and draped beneath the Arms from a Maroon ribbon, the badge of the Order of the Eagle of Georgia as a Knight Commander. Armorial bookplates commenced in the mid 15th century in Germany and in less than 50 years other countries in Europe were also using them. A bookplate may consist merely of the owner's name or it can be a fine work of art created by a designer and produced by different methods such as copper engraving, etching, lithography, lino or woodcuts up to the latest developments in computerised reproduction. 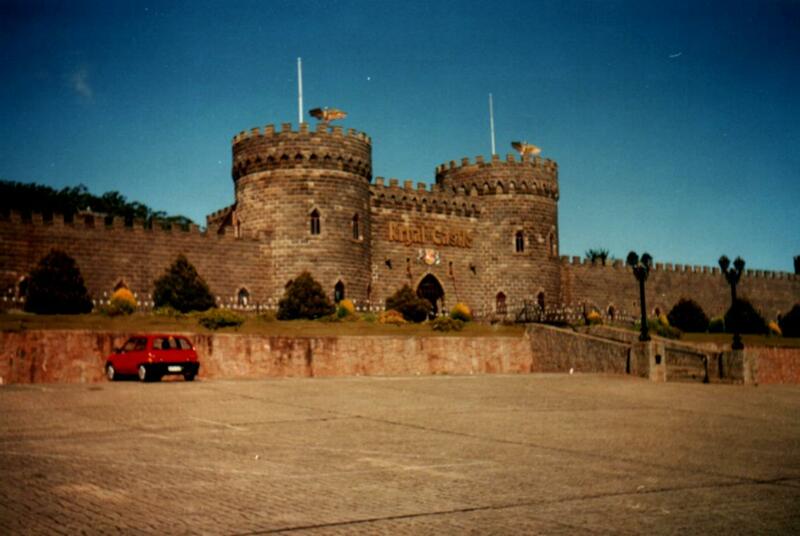 "KRYAL CASTLE", BALLARAT, VICTORIA, AUSTRALIA. 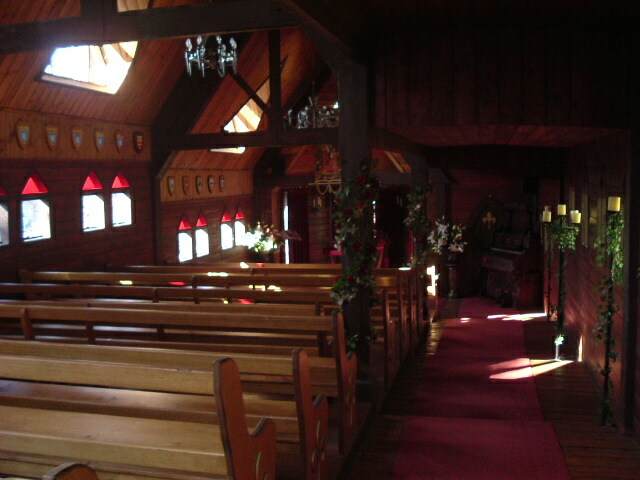 INTERIOR OF THE CHAPEL AT KRYAL CASTLE. 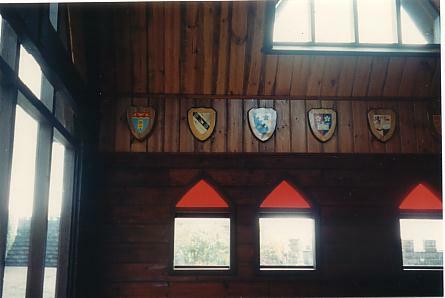 KRYAL CASTLE CHAPEL SHOWING THE ARMORIAL BEARINGS OF SOME OF THE MEMBERS OF THE ARMORIAL AND HERALDRY SOCIETY OF AUSTRALASIA. My shield painted by the late Vincent W. Harris, Honorary Member of the Armorial and Heraldry Society of Australasia and one time official Piper at Kryal Castle. Prior to 1484 the King and many of the nobility employed heralds to carry out duties in connection with Tournaments and as messengers in Peace and War. The senior heralds came to be called Kings of Arms. On the 23rd March 1484 King Richard III incorporated the Heralds by charter to form what was known at the time as the College of Heralds, and gave them a house named Coldharbour for their work. A year later his successor cancelled the Royal warrant and acquired the building used by the College for his own purposes. On 15th July 1555 Queen Mary I reformed the College with a new charter and gave them Derby House which is the site on which the present College of Arms now stands. The College of Arms is a department of the Royal household and is situated within the City of London and is operating under the Earl Marshal who has a number of officers of Arms (q.v.) 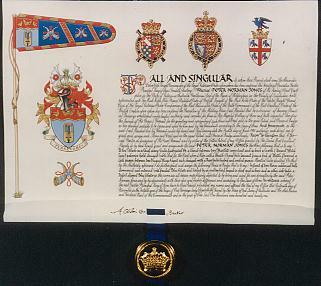 to carry out all the duties in connection with issuing and recording armorial bearings. Until 1943 one of the Kings of Arms also supervised the whole of Ireland but in that year the Irish government established its own state Herald who still works in close co-operation with Norroy King of Arms who now supervises Ulster. 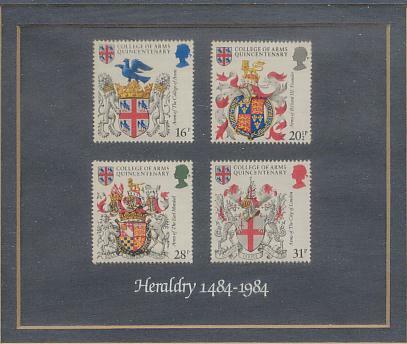 As part of the 500th Anniversary a set of Postage Stamps were issued. The City of London (31p).